History has shown that LG has never been the one to release its G-series and V-series flagships during the same period, but according to a new rumor, things might take a different turn. Struggling with its mobile business, the Korean giant wants to turn things around, and according to the latest info, the G8 ThinQ and V50 ThinQ will be launched at the same time. Of course, the V50 ThinQ is expected to be the pricier of the two thanks to a significant difference. The upcoming flagship is reportedly going to be the first flagship from the company to sport a 5G modem. Cost of the LG V50 ThinQ Said to Cost North of a $1000 – Is the Upcoming Wave of 5G-Ready Flagships Going to Be This Expensive? If information published on ETNews is assumed to be correct, both the G8 ThinQ and V50 ThinQ will be launched in Barcelona, where the MWC 2019 trade show will be held. The G8 will retain an LTE chip like its predecessors, while the V50 will reportedly be the first smartphone to feature Qualcomm’s Snapdragon X50 5G modem. This will also be the first time LG introduces two flagships from a different branding at the same time. 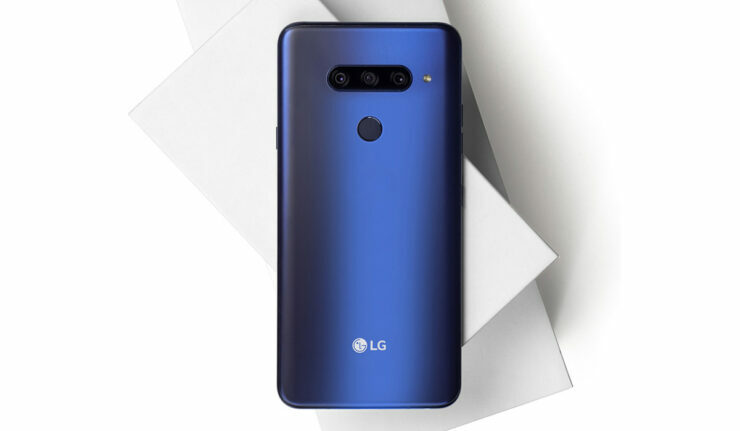 However, while this move might be seen by some as a step in the right direction, the slightly improved hardware, not to mention holding the status of ‘5G-ready’ might prompt future customers to ignore the G8 ThinQ and purchase the V50 ThinQ instead. It is not like the latter is going to be affordable for the masses. ETNews reports that the price of the V50 will be between 1.3-1.5 million Korean Won, which is anywhere between $1162 and $1342. This is a steep price to pay for a flagship in 2019, which could mean that the rest of the smartphones launching this year with 5G modems might feature expensive prices. The report also states that the V50 ThinQ will sport a 6-inch screen, a Snapdragon 855 and a 4000mAh battery. ETNews also seems to believe that users will interact with the V50 primarily through gestures. This might mean the upcoming flagship will be without navigation buttons, but thanks to the flexibility of tweaking Android, LG might provide both options that can be toggled on or off in the ‘Settings’ menu. It is recommended to take this news with a pinch of salt. With just a few weeks away remaining for MWC 2019 to officially kick off, we’ll know what LG’s plans are in propping its mobile business with the imminent unveiling of the G8 ThinQ and V50 ThinQ.